Apple iOS Jailbreak community is back with the latest version of Sn0wbreeze 2.9.11 Jailbreak Tool to Unlock and Jailbreak iOS 6.1.2/6.1/6.0 Firmwares Untethered On Pre-A5 iPhone 4, iPhone 3GS and iPod 4G Touch devices and credit truly goes to iH8sn0w and Sn0wbreeze Team. Latest version of SnOwbreeze Hack is now officially available for users to Unlock and Jailbreak Apple iOS 6.1.2/6.1/6.0 Firmwares and Install Cydia On Pre-A5 iPhone 4, iPhone 3GS and iPod 4G Touch. Apple iDevice users should know that Sn0wbreeze iOS 6.1.2/6.1/6.0 Jailbreak is only available for Pre-A5 iPhone 4, iPhone 3GS and iPod 4G Touch devices and it won't work on any other devices. So if any Apple iDevice user is running an iOS 6.1.2/6.1/6.0 Firmwares on A5 Chipset devices such as iPhone 5, iPhone 4S, iPad 4, iPad 3, iPad 2, iPad Mini and iPod 5G Touch than Evasi0n iOS 6.1.2/6.1/6.0 Jailbreak Tool is available for them. 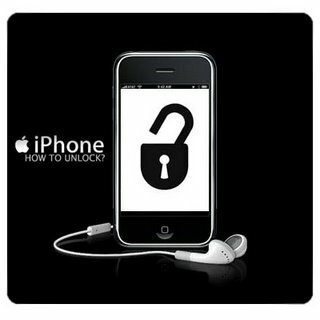 So let's start the Tutorial and Guide to Unlock and Jailbreak iOS 6.1.2/6.1/6.0 Firmwares On iPhone 4, iPhone 3GS and iPod 4G Touch Using Sn0wbreeze Tool. Apple iPod Touch 4th Gen.
How to Unlock and Jailbreak iOS 6.1.2/6.1/6.0 Firmwares Untethered On iPhone & iPod Touch with Sn0wbreeze? You should first download and install all software requirements on your computers or laptops as provided in above links then follow the Tutorial and Guide to Unlock and Jailbreak iOS 6.1.2/6.1/6.0 Firmwares Using Sn0wbreeze Tool On Pre-A5 iPhone 4, iPhone 3GS and iPod 4G Touch. Step 1: Connect your respective Apple iDevice with your PC or Laptop via 30-pin connection cable. The latest Sn0wbreeze 2.9.11 version supports an untethered jailbreak on 5.2 firmware for Apple TV, and iOS 6.0, 6.1, 6.1.2 for iPhone 4, 3GS, iPod touch 4, and it uses the same EvasiOn exploits released by team Evad3rs. Step 2: Now locate the download of Sn0wbreeze from step 1, unarchive the download and run the executable file found within. Step 3: Click the blue next button on the bottom-right of the display and select the Browse for an IPSW and point Sn0wbreeze to the relevant firmware for your device. Since iOS 6.1.2/6.1/6.0 is supported, we advise you jailbreak on that particular firmwares. Step 4: If Sn0wbreeze successfully identifies the provided IPSW file then select Next and click on the Simple Mode option that is provided. Step 5: Sn0wbreeze works by stitching together a custom created firmware file that can then be restored to the device, be patient, this might take a while. Step 6: When it’s done; Sn0wbreeze will ask you to put your device in Pwned DFU Mode, follow the on-screen instructions on how to do so. Step 7: Once done, Sn0wbreeze will provide an alert to say that the device is now in Pwned DFU Mode. Close Sn0wbreeze, open iTunes and select the connected device from the left hand menu. Step 8: Press and hold the left SHIFT key on the keyboard before clicking on Restore in the iTunes interface. When iTunes asks for a firmware file to be selected, point it to the custom created IPSW from Sn0wbreeze that will be found on the desktop of the computer. Step 9: Now allow iTunes to go through restore process. When complete, the phone will be fully Jailbroken with the beautiful Cydia icon present on the home screen. Congratulations!! You're done.